Hey guys Zenthanith here! I’ve been noticing the drop in both ratings and views for “The God of Sky and Earth”, may I know if my translations are going wrong somewhere which caused the displeasure in reading the story? 🙁 Please do let me know if there is some problem in the comments below so that I can improve! And also help share it online with others on other media platforms! In the end, all the stones which had dropped out of the interspatial bag turned into powder. It all accumulated to tens of meters in size. Luckily, there was quite a bit of space within this crack in the cliff, or else the powder could have buried everything. Su Yi was in shock as he examined the powder. The powder looked exactly the same as what happened to the Yuan Testing Stone back in the City of Man after it had shattered. How could this be crushed stone? It was obvious that these were Yuan Stones. Who would be so bored as to put normal stones in their interspatial bag?! Su Yi now realized why the mysterious sphere of light in his mind had a response. It was because the interspatial bag contained Yuan Stones. That’s what caused the response from the sphere of light! Even with the interspatial bag as a barrier, the sphere of light had actually absorbed the energy of all these Yuan Stones completely. This caused Su Yi to become very shocked that the mysterious sphere of light had such a cheat! But, Su Yi’s heart was pained to the extreme. From the humongous amount of Yuan Stone powder, the number of Yuan Stones which were contained within the interspatial bag must have been a huge number. This was a fortune! But now, all the Yuan Stones had turned into dust after the energy within them were devoured by the sphere of light. Su Yi turned the bag over to examine it even further as he did not want to miss out on anything. Afterward, Su Yi did find some other items within the flood of powder. There were three jade bottles containing elixirs, two scrolls which have slightly yellowed due to time, and a whole pile of fresh medicinal herbs with their roots attached, looking like they have only been harvested recently. There were also two quivers filled completely with arrows. Su Yi had recognized these two quivers at once. They were the same as the quiver the Young Master of Black Fiend School had on his back. Other than all those items, there was another long sword, based on the material and touch, it seems to be worth quite a bit as well. Su Yi checked the pile of herbs. These were not normal medicinal herbs, they were Spiritual Herbs. The values of Spiritual Herbs that were used to refine elixirs could be known after a bit of thinking. Su Yi checked the three jade bottles of elixirs, they were Yuan Restoration Elixirs for healing injuries, Earth Xuan Elixirs for stabilizing the cultivation level of the Yuan Xuan Realm and the Soul Stabilizing Elixirs for stabilizing the Yuan Soul Realm cultivation. There were ten Yuan Restoration Elixirs and Earth Xuan Elixirs each, but there was only three Soul Stabilizing Elixirs. Su Yi was ecstatic. It was just as he had thought, there was quite the amount of cultivation resources on the Young Master. The worth of the pile of medicinal herbs was already shocking, but the Yuan Restoration Elixirs and the Earth Xuan Elixirs were all High-Level Moon Grade Elixirs. The Yuan Soul Elixirs which his grandfather had given him back at the Su Estate were only Moon Grade Beginning Level elixirs. But now, even if it was the Soul Stabilizing Elixirs, they were also Moon Grade Middle Level, higher than the Yuan Soul Elixirs by one level. Do not think that it was only one small leve. Just that one small level made the difference like heaven and earth in value. There was a difference of at least ten times! After a check, those two scrolls were two sets of Martial Art Techniques. The words on the scrolls had a font similar to that of the seal script, one of them was called “Seven Injuries Fist” and the other was “Crimson Flame Palm”. The grade of these two martial art techniques was actually Commander Grade! From what Su Yi knows, the entire Su Family did not even have one Commander Grade Martial Art Technique, but back then, the martial art technique which Ji Chao used had already reached King Grade. Commander Grade Martial Art Technique was already of an above average grade so although it was neither a King Grade Technique nor was it even comparable to Emperor Grade “Hundred Transformations Step”. But Su Yi knew very well that if someone else found out that there were two Commander Grade Martial Art Techniques on him, it would already be enough to have him hunted by countless people in the Forest of Demons. Looking at what he had in front of him, Su Yi’s face was beaming. After living for so long, it was still the first time where he had seen so much good stuff in front of him. Just this interspatial bag, the two sets of Commander Grade Martial Art Techniques and the three jade bottles of elixirs would probably already be enough to buy the entire City of Man. Furthermore, from the Yuan Stone powder which had poured out of the interspatial bag had already proven that there was a large pile of Yuan Stones. Even if it was the Yuan Stones of the lowest grade, such a large pile would already be worth several cities. Though the sphere of light had absorbed all those energy, within the mysterious space, he could also reap the benefits from the absorbed energy of the Yuan Stones. How could Su Yi know that the interspatial bag which he had gotten from the Young Master did not belong to the Young Master but rather it was the Black Fiend School’s cargo transportation interspatial bag. There were many mines and businesses under the Black Fiend School and transportation that naturally would be dependent on interspatial bags and strong cultivators. But for this time, High Elder Bai had brought along Yan Shangyang to the mine. Although they went there for another purpose, they wanted to bring back a batch of mined Yuan Stones since they were already there. So, the huge batch of Yuan Stones should have been on High Elder Bai. But High Elder Bai had put the stones with Yan Shangyang on purpose. Firstly, it was to take measures against those who had robbed Black Fiend School recently. Secondly, High Elder Bai had also wanted to please the Young Master. He wanted to give him the feeling of shouldering a heavy responsibility on his shoulders. 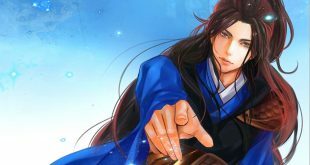 But High Elder Bai never would have imagined that in the end, after a series of unexpected incidents, Yan Shangyang would be killed by Su Yi and the interspatial bag would be taken away by Su Yi as well. And currently, Su Yi was still thinking that what he had taken was only Yan Shangyang’s personal interspatial bag. He did not know that the last batch which was mined from the mine was also the largest batch so far. The skinny old man doesn’t even know that after he had put everything he had on the line, even going so far as to enter the mine undercover, even tricking Su Yi once at the very end, was all for that batch of Yuan Stones. But that final batch of Yuan Stones had landed in Su Yi’s hands. If he knew about this, the expression on his face was sure to be very interesting. Su Yi did not know how many Yuan Stones he had actually gotten. Anyways all that appeared in front of Su Yi was a huge pile of Yuan Stone dust. Su Yi did not know how many Yuan Stones there were, but he was clear with the fact that after absorbing all the energy within the Yuan Stones, the mysterious sphere of light would definitely expand once again. There was also the possibility of the energy within the space becoming even denser. Forming the hand seal, Su Yi summoned the mysterious space once again. But out of Su Yi’s expectation, after he had entered the space, for some unknown reason, the space did not expand any further. The mysterious space was still around three hundred meters wide with an area of around half a kilometer, it did not expand again. But Su Yi was astonished all the same, currently the extent of how rich the energy within the space was far richer than how it was before he had opened the interspatial bag. It was to the point where it was actually frightening. Now the energy of heaven and earth within the space was so rich that it was exuding a pressure. The surroundings were a blur which gave off a faint glow. The huge land which was like soil spanning over three hundred meters in area was currently giving off a mist. Strictly speaking, the drifting mist was energy which had materialized. Breathing deeply in this space would allow you to directly absorb energy.